A model teenager disappears from a controversial religious community. 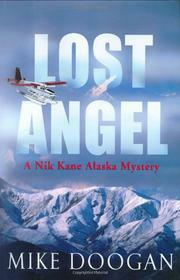 Former Anchorage, Alaska, police detective Nik Kane flies to the remote middle of the state in a single-engine plane to meet with the Council of Elders of Rejoice, an austere Christian community of 300 souls founded 30 years earlier by imperious Moses Wright, who still leads them. Wright’s granddaughter, Faith, an honor student and ostensibly contented member of the sect, has disappeared without a trace, and Kane’s former colleagues in Anchorage have neither the resources nor, it seems, the desire to investigate thoroughly. For Kane, the case is a lifeline. Recently released from prison after serving seven years for a shooting he might not be guilty of, he can’t return to the Anchorage PD, and his ex-wife Laurie won’t reconcile with him. Incremental snippets of flashback fill in the details of that shooting as Kane, in the present, ruffles feathers in Rejoice asking questions about Faith. Gathering information in the guarded community is slow work. Neither Moses nor Faith’s father, Thomas, will talk about his mother, Margaret Wright, who abruptly left her family and never contacted them again. Kane’s challenge, and Doogan’s most interesting notion, is the reconstruction of the absent Faith from the disparate descriptions of friends, family and teachers. Much of the mystery is boilerplate, but this series kickoff provides a righteously appealing hero and terrific local color.